In my previous post, the very aptly named Headscarf Part I, I attempted to give a bit of background on the divisive headscarf issue in Turkey. In this post, I'll try to deal with some of the arguments surrounding the issue, as well as share with anyone who cares my own very divided feelings. The headscarf issue is a very touchy subject. I've already received one ranting comment from a Turk about my first post. The comment is interesting because it is exactly the kind of thing nationalist-leaning folk start saying whenever anyone, particularly a foreigner and particularly an American, says something about headscarves. If BE's written English were as good as that commenter's, I would have thought it was him. So I won't go so far as promising not offend anyone's sensibilities, because I most certainly will offend. Some people are very easily offended (heh, to put it lightly). But I will try, at least, to not be deliberately inflammatory. Here's one thing many Turks were very offended by, and I can't say that I blame them: When the Islamist AKP swept the 2002 elections (to the utter dismay of the nationalists), it was hailed throughout the Western world as a victory for democracy. Democracy, that beacon of all that is good and right, which is held up by the West as a holy grail for the world's less fortunate countries to aspire to and emulate. 'Be democratic,' says America, shaking it's mighty fist, 'or else...' When AKP first won, I thought to myself that it couldn't be all that bad. If Turkey wants to get that other foot out of the second world, allowing the will of the people to be followed is a positive step. Another military coup would just send it tumbling back to the dark ages when Dallas reruns were the best thing on TV. I never thought my American education had stuck until I found myself thinking this way. When AKP came into power, there were indeed people hoping the military would invoke its right to take over when the will of the people proved wrong. This is something Atatürk included in the constitution-- that if the government starts doing anything that poses a threat to secularity, the military has the right to throw them out and take control. Sometimes this strikes me as thinking of the people as unruly teenagers. It implies that people are grown-up enough to have free and open elections, but perhaps not mature enough to always make the 'right' decisions. On the other hand, Atatürk was very forward-thinking in this, as though he knew the people, given the chance, might want to turn their country into another Islamic backwater. Turks may forget how to drive when it's raining, but their country is really something to be proud of. It's one of the only predominantly Muslim countries in the world that isn't an Islamic or Sharia state. People can be as Muslim or un-Muslim as they want to be, and no one's getting their hands cut off for stealing or getting arrested for a tendril of hair sticking out of a veil. One way that this is happening, however, is that secularism is enforced in ways that could seem, to the Western eye, like a curtailing of personal or religious liberty. Where headscarves (particularly the türban) can and can't be worn, is one example of this regulation of religious freedom. In Turkey, the türban isn't simply a form of religious dress, it's a fraught political symbol. As soon as AKP came into power, it seemed like they started talking about lifting the headscarf ban. They were also trying to woo the EU for membership, and used the lifting of this ban as an example of how they were trying to improve the human rights situation here. The irony of this was not lost on me or the nationalists; the headscarf is usually seen by Westerners as a symbol of female oppression, but AKP was using it as a symbol of guaranteeing freedom of religion. EU leaders applauded them for this. Naturally the nationalists found it personally galling when France banned the headscarf in its own universities. Is the headscarf a symbol of female oppression in Turkey? I have very mixed feelings about this, both as a Westerner and as a woman. On one hand, not all women who wear the headscarf are forced to do so by their families. Some do it because they want to, and I've even known families where the mother isn't covered, one daughter drinks and has boyfriends while another daughter wears a headscarf. Some women, obviously, are brought up to believe they should cover, while some are very strongly encouraged to do so, some much more strongly than others. And yes, there are girls and women who are coerced or forced. The Westerner in me says that no one should be forced, but neither should they be prevented if that's their choice. At the same time, the woman in me wonders why all this modesty is necessary. Is my body something to be ashamed of? Are my lumps and curves a source of disgust to these more 'modest' women? And I can't really subscribe to the view that men are such animals that they may become uncontrollably inflamed at the sight of my hair, or neck, or hips. Most men I know are better than that, and if they're thinking prurient thoughts about the women around them, they're thinking those thoughts whether the women are covered or not. In any case, I suspect the gap of equality between men and women in Turkey would exist whether there were headscarves or not. I hardly think the headscarf itself causes or exacerbates the problem. Is it a symbol of it? Maybe. Because I'm foreign, there are some aspects to the headscarf debate that I just don't understand, and I expect I never will. For example, I feel that the headscarf ban in universities unfairly targets women. There isn't an equivalent form of male Islamic dress that is banned, though I'm told woolly skullcaps are forbidden as well. But for a lot of women, the headscarf is as much about modesty as it is a political symbol or a badge of Islamic identification, whereas the skullcap isn't about modesty. I would imagine to some women, revealing their hair and necks, or even wearing those god-awful wigs, it would feel as bad as it would to me if I had to go to school without my shirt. There's that, plus there are indeed a lot of girls who are forced or pressured to wear headscarves, and so wouldn't be allowed to attend university if they had to take them off. So whether it's a matter of modesty or of not having a real choice in the matter, the headscarf ban in universities is keeping many young women out of higher education (or relegating them to second rate private 'universities,' where they pay a lot of money for degrees that aren't actually worth anything). Denying women educational opportunities because of their (or their families') religious beliefs surely isn't helping anything. There is an expression in Turkish that goes something like 'Covered head, closed mind,' which sounds clever because kapalı in Turkish means both 'covered' and 'closed.' One argument about keeping these young women out of school says that they should be kept from certain jobs of power, like teaching or law, so that their backwards and religious notions don't unduly influence children or public policy. This is an issue that, as a foreigner, I absolutely don't get, and I've been told so many, many times. But it seems to me a person's thinking is the same whether they are covered or not. A woman may uncover to attend university or to teach or to be a judge, but her ideas are the same regardless of what's on her head. Admittedly I couldn't be bothered to wade through the whole article, for me an hours' long task with a dictionary and LE demanding my attention by throwing his toys at me, but the blurbs on the front page contained some specious or coincidental similarities between Turkey now and the time leading up to the 1979 revolution in Iran. I've been hearing the Turkey-will-become-Iran argument ever since I came here, but I just can't get into it. There just aren't enough real parallels. Also (though it may be naive, incongruous, or decidedly foreign), I actually do have enough faith in the Turkish people, and perhaps even in the military if that's what it takes, that they won't let their country become an Islamic state. Still, as a woman and as a Westerner who has to live here and perhaps raise my little boy here, the slippery slope argument is compelling in its way. Since AKP came into power, I too feel small changes around me, and I see things that may be construed as a gradual chipping away of certain social liberties. When I first came here 6 years ago, I often giggled at a Tofaş (a small, cheap Turkish-made car, all of which look about 20 years old and all of which are in various states of near-collapse) filled with families of 50, with a few men in the front, a pile of covered women in the back, and several children flying around the remaining empty space. Now, more and more often, I see these same families piled into Mercedes or BMW SUV's. The drivers are even more incapable of maneuvering the ridiculously oversized cars, and they hold even more people now, with their spacious trunks. It's a small thing, but it makes it makes me think that what used to be the largely disregarded rural religious poor could be becoming the not-quite-urban religious nouveau riche that aren't so easily disregarded. When we moved to our neighborhood in the suburbs four years ago, alcohol was happily available in most restaurants, all year around, just as it was in the rest of Istanbul. However, about 3 years ago, all the restaurants dried out for the month of Ramazan. The first year, you just couldn't drink during iftar (fast-breaking), which was okay since we never would have gone to a restaurant at iftar anyway because the prices triple, and we wouldn't have drunk as a matter of respect. But in subsequent years, there was no alcohol anywhere, and the waiters and managers who were once sadly apologetic to my husband (a regular customer at the few restaurants around us) became a little surly about it, barely hiding their righteous anger at being asked something so offensive. Starting about a month ago, the already over-loud mosque near my house started broadcasting the entire Friday prayer, about an hour long, over the loudspeaker. An imam near us was fired recently for broadcasting on a Friday that husbands shouldn't let their wives work because it makes it easier for their wives to commit adultery. At least he was fired, but is it possible that something in the social climate has changed enough to not only make that imam feel comfortable broadcasting his sermon, but to make him feel comfortable sharing that particular message? So while I think Turkey becoming an actual Sharia state isn't likely, the possibility of it becoming a sort of de facto one worries me. Social pressure and social climates are not to be taken lightly, particularly in a group-oriented culture. A further argument against headscarves in universities is that girls who weren't covered to begin with will begin covering in order to fit in. This argument alone doesn't impress me. I dyed my hair purple and blue in university to no lasting ill effect; university is a time when young people experiment with their identities, and most of us move on. But what if something like this happens in the real world outside university? On one of the televised debates BE watched, the token covered woman, when they let her speak, argued that the headscarf means freedom for women. Why? Because if a woman is wearing a headscarf, she won't be mistaken for a whore and will be treated with respect on the street. This argument impressed me greatly, and not in a good way. If un-covered women are automatically considered immodest with relaxed sexual morals, it follows that men are given license to treat them as such. If that macho idiot factor suddenly becomes the norm, then wouldn't most women begin covering to avoid harassment or assault on the street? A woman harassed on the street now can usually expect some protection or intervention from bystanders, but what if it's suddenly her own fault for not wearing a headscarf? And all that it implies for us. *Here are are some links about Fethullah Gülen, one to the Wikipedia article, and one to his website. To put it lightly, this guy is scary, but he is an entirely different topic, and one I will probably never post about. Glad you beat me to it. Some food for thought there about the way Turkey has changed over the last couple of years. I think I must go around with my eyes closed sometimes as I hadn't noticed those changes you talk about, but you're right. This is something Atatürk included in the constitution-- that if the government starts doing anything that poses a threat to secularity, the military has the right to throw them out and take control. No. This coup business started in 1960 (that is for the republic, looking at Ottoman history might prove instructive but I'm unsure how appropriate it would be). There's nothing in the constitution that says coups can or ought to happen. That said, the army's role is indeed defined as protecting the republic, and the first speech after coup of 80 did cite its own regulations. Turks may forget how to drive when it's raining, but their country is really something to be proud of. It's one of the only predominantly Muslim countries in the world that isn't an Islamic or Sharia state. 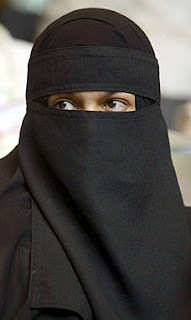 People can be as Muslim or un-Muslim as they want to be, and no one's getting their hands cut off for stealing or getting arrested for a tendril of hair sticking out of a veil. It isn't like hands were getting chopped off here before 1923 either. I know you know what I am going to say but I will point it out nonetheless. This is not a country created by Western fiat and handed to some religous figure, nor is it one that survived because of her national resources (ie not needing teh citizenry to be productive -- just passive). There was a multi-ethnic, multi-religous Empire here before the republic and the new state wasn't created from scratch. Ataturk's reforms can be seen as a continuation or culmination of the process that started in the 19th century by the Ottomans (most notably Tanzimat). The new republic, of course, did allow and encourage the adoption of the secular lifestyle among the Muslim populace by shedding the "Islamic" aura of the government and by suppressing religious dissent. What it did for women goes without saying of course. Disclaimer: take everything I say with a grain of salt. My knowledge of the country is mainly from the 70s and part of the 80s. As I am sure you've been told, a lot has changed after the coup of '80 especially regarding religion. Half of the present population here is below 28, and they have lived and gone to school in a far different climate than I have. Since you say you've taught at a school where 80-90% of the female students used the headscarf, it is clear to me that you have more relevant first hand experience in today's Turkey than I do. I thank you for your comments Bülent-- you're giving a larger historical context that I lack. I mean, I didn't think the Republic was formed in a vacuum or brought about by the West, but at the same time, there are large gaps in what I know or think I know. I really did think there was a 'coup clause' in the Constitution placed there by Atatürk, because that's what I've been told so many times. As you point out, most of the population here is young, but they are the ones who are often sources of information. Sometimes history sounds like there was an overly romanticized Ottoman era where all religions and ethnicites lived together in perfect peace and harmony, then nothing happened for awhile, then there was WWI and Çannakkale, the Atatürk came and everything was wonderful again. Whether it's selective memory of informants or selective teaching of history, I don't know. I suspect something like the latter, only because I have similar gaps in what I was taught in American history. To me, it seems like nothing happened between the end of the Civil War and the beginning of WWI, while in fact I have the vague idea that there was a long period of civil unrest and Socialist/workers' movements, but knowledge of this period doesn't serve the fantasy of the American ideal or help create happy workers. My husband is Alevi. Growing up in the 80s, his parents didn't even tell him this until he was about 12, when they thought it was 'safe' for him to maybe mention this fact in public. While his paranoia about the greater conspiracies threatening the Republic isn't his alone, it's probably exacerbated by the fears passed to him by his family, and he is, admittedly, a source of a lot of my information. I think it's possible the school where I worked overly 'colored' my view of modern Turkey, in that it was much more religious than the outside environment and there was a very strong Fethullah connection, often leaving me with a sense that something secret was going on, or that the winds of religious takeover were blowing harder than they are. Not the underground Nurcu jihad training camps so many Turks warned me about, but a certain pressure among Turkish students and staff (NOT on me, I might add) to convert to this type of Islam and to participate in religious meetings and regular prayer. "This is not a country created by Western fiat and handed to some religous figure, nor is it one that survived because of her national resources (ie not needing teh citizenry to be productive -- just passive)."